Have you ever thought about the bacteria collecting on your yoga mat? Yoga mats tend to be hard to clean; but it needs to be done, so we’ve come up with a simpler way to disinfect your mat while adding the benefits of essential oils to the routine. We’ve put together an antibacterial cleaning spray using essential oils that is sure to leave your mat smelling fresh and clean. Essential oils are great for cleaning and disinfecting. We’ve created this all-purpose cleaning spray that you can use to clean almost anything! Those tough surfaces won’t stand a chance against this powerful spray. This recipe is a super easy way to free your home of harsh chemicals all while keeping your house clean. Combine all ingredients in the spray bottle, and shake to combine. Spray the mixture on a cloth, and wipe the area down. For persistent surfaces, you can spray the mixture directly on the surface and scrub it in. Shake before each use and store in a dark place. There’s no need to buy expensive, harsh chemicals to remove stains from your clothes when you can make a more natural alternative at home! Lemon essential oil has powerful cleaning properties, and hydrogen peroxide is a known stain remover. Combine all the ingredients in the spray bottle, and shake to combine. Spray the solution on stains, and scrub it in to help remove the spots; wash as normal. As we work harder to clean up our lives and free ourselves of chemicals, we can’t forget about our pets! We’ve created this pet shampoo so that you can clean your pets naturally. You’ll love the smell and the knowledge that you can keep your pets clean without using any harsh chemicals! Combine all ingredients in the 8 oz. bottle, and shake thoroughly. Wash down your pet’s coat with warm water. Pour some shampoo into your hands, and scrub down your pet, making sure to keep the soap away from the eyes. Rinse your pet thoroughly to remove all traces of shampoo. Refresh your wood cutting boards and spoons by rubbing a little coconut oil and lemon essential oil on them. The coconut oil helps season the wood, and the antibacterial properties in both the coconut oil and lemon essential oil help sanitize your kitchenware at the same time. Carefully pour the vinegar and essential oils in the spray bottle. Swirl to combine, and then fill the rest of the bottle with distilled water. Spray on counters and appliances; wipe with a warm, wet cloth. Click here for more essential oil cleaning tips! There are lots of benefits you can take advantage of by using essential oils in your home. Essential oils are known for being used for a wide variety of purposes ranging from pleasant aromas to medicinal benefits. Even if you use the oils simply for their scent and use them in a diffuser, you are still benefiting from using them. Essential oils are great for natural remedies and aromatherapy, but are you aware that they are also effective as deodorizing and disinfecting agents? One good example is the cinnamon essential oil—it is effective against various types of bacteria. Ylang ylang, lemon, peppermint, tea tree, lavender, and frankincense are also known for their antimicrobial and antibacterial properties. The citrus essential oils have stain-removing and de-greasing properties. With these oils, you can create a cleaning product for any situation, protect your home from pesky insects and rodents, and help keep your family healthy. If you are new to using essential oils, the tips below will help you get started in having a more natural lifestyle. To make a carpet and upholstery freshener, mix 1 cup (240 ml) baking soda with 5–6 drops of your chosen essential oil. Sprinkle some all over your home and let it stay or about 20 mins before vacuuming. You can freshen the air every time you use your vacuum by placing a few drops of cinnamon essential oil on a cotton ball and place it in your vacuum cleaner bag. The scent of the cinnamon oil will deodorize the entire house, as well as get rid of dust mites and the mildew smell that your vacuum emits. Combine 1 Tbsp. (15ml) of baking soda, 2 cups (475ml) purified water and 10 drops of your desired essential oil in a spray bottle. Shake the mixture and spray it on carpets, upholstery, and other fabrics. Use eucalyptus oil and tea tree oil particularly if you want to get rid of the sweaty gym shoe smell. You can spray the mixture directly on their shoes to stop the bad odor from returning. Rather than using harmful room sprays to freshen the scent of your rooms, combine 10–20 drops of essential oil with 1/2 tsp. (2.5ml) alcohol and some purified water in a spray bottle with purified water. Some of the recommended essential oils are orange, grapefruit and lemon. These oils will make the room smell airy and light. For a warmer scent, you can use frankincense and cinnamon. To get rid of smell produced by fish, try diffusing citrus oils. For eliminating the smell of cigarettes try peppermint, eucalyptus, and rosemary. Combine 1/2 cup (120ml) of vinegar, 1/2 cup (120 ml) baking soda and 5 drops of bergamot essential oil to produce a powerful soap. This is very effective in getting rid of the scum in the sink and for scrubbing the bathtub. Simply add 2 drops of grapefruit or lemongrass essential oil to your dishwasher before using it. The oil will help in removing grease and accumulation of soap and your dishes will shine. Combine 5 drops of lemongrass, 5 drops lemon, and 10 drops of tea tree essential oil in a spray bottle with a little alcohol; fill the remainder of the bottle with water. Spray on the stained and molded areas directly allow it to dry before wiping off. These oils have anti-bacterial properties that can kill and prevent future molding concerns and the lightening properties of lemon can lighten the stains. If you want to get rid of the flying insects, diffuse lemongrass oil in your windows or doors to stop them from entering your house. Rats, spiders, and mice are allergic to the smell of peppermint. In a spray bottle with 1/2 tsp. alcohol, add 10 drops of peppermint, and fill with water. Spray liberally at baseboards and entryways once every couple weeks. For de-greasing and removing the stain, add 1-2 drops of lemon essential oil to gum, crayon, grease spot or oil on fabrics, let it sit for ten minutes and then wash it as usual. Essential oils are household staple these days and more families are starting to use them over toxic products. The above-mentioned household uses of essential oils are only some of the many ways you can use essential oils in your home! Hello! 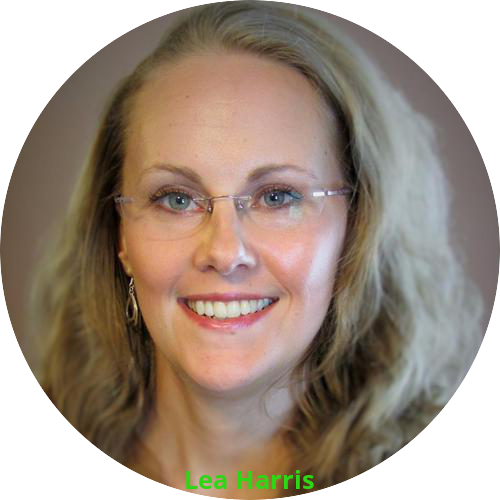 My name is Lea Harris. I am a Certified Clinical Aromatherapist and run www.essentialoildiffuserusa.com. My goal and the purpose of my site is to help educate about the safe use of various essential oils.